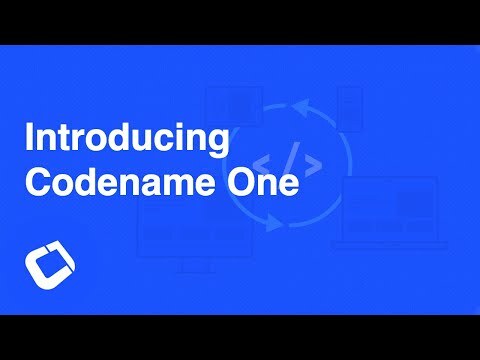 We released a new version of the introducing Codename One video almost a month ago but we just neglected to highlight it in the blog. Our old videos are pretty dated by now and we use far better toolchains for video production today, so we are in the process of redoing all our old videos. This is a long and tedious process that we do while producing newer content, fixes and moving forward. So the timeline of such updates is quite volatile. Check out the new video below. We just flipped the switch on two major changes in the Android build. All Android builds from now on will default to gradle instead of Ant. This is far superior to Ant builds as its the way forward for Google and it allows you to open the resulting project in Android studio. We are flipping this switch to test this functionality before 3.3 rolls out. If this triggers issues for you please report it at once, you can also disable it manually using the build hint android.gradle=false. The new Android input mode is pretty different to the previous keyboard input mode, it should bring Android more in line with the iOS port and modernize the UI quite a bit. This might introduce some incompatibilities or issues, be sure to report them! You can manually disable this build hint using the android.keyboardOpen=false build hint. When we originally launched the barcode/qrcode API's we didn't yet have cn1libs so we just added this to the API core. Now that cn1libs have been around for ages and also used to implement another barcode/QR code scanner API we think its time to deprecate the API and move it into a separate cn1lib here: https://github.com/codenameone/cn1-codescan. This API requires a binary native library that has been a thorn in our side every time Apple changed something e.g. bitcode support, x64 etc. Every such change would have been seamless and instant were it not for this library.